European Union countries were compiling a list of American products that could be subject to reciprocal levies. The provisional list correlated strongly with Republican congressional districts and included Harley-Davidson motorcycles, bourbon, rice, kidney beans, sweet corn, tobacco and peanut butter. But even as European Union leaders prepared for retaliatory action, they also recalled the long history of trans-Atlantic bonhomie. Brigitte Zypries, the German economics minister, wrote in a letter to Wilbur Ross, the United States commerce secretary, that Europe and America should work together to address the real problem: a global glut of steel production that has driven down prices. “We need trans-Atlantic solidarity on this issue, and not trade conflicts,” she said. Still, there were signs that attempts by some countries to win tariff immunity from the United States were sowing tension among European allies. Liam Fox, Britain’s international trade secretary, told the BBC on Friday he would “be looking to see how we can maximize the U.K.’s case for exemption” when he visits Washington next week. The suggestion that Britain might go its own way provoked a rebuke from Jyrki Katainen, European Union vice president for jobs and competitiveness. “We cannot accept that the E.U. is divided to different categories,” Mr. Katainen said Friday. Australia had already shown how to win Mr. Trump’s favor with an energetic lobbying effort that seems to be paying off. The president, who excluded Canada and Mexico from the tariffs, singled out Australia on Thursday as another country that could be exempt. Ms. Bishop, the Australian foreign minister, said she had been in contact with Secretary of State Rex W. Tillerson while he had been traveling in Africa. She also said she had spoken with close business contacts of Mr. Trump. And she made her case to Nikki Haley, the United States ambassador to the United Nations, while in New York this week. Australia also deployed Mr. Norman, the golfer known as the Great White Shark, who has been effusive in his praise of his friend Mr. Trump. The Australian golfer Greg Norman, center, at the White House last month. Mr. Norman, a friend of President Trump’s, was a signatory to a letter beseeching the American president to exempt Australia from tariffs. The efforts may be paying off. On Friday, Mr. Trump said on Twitter that he had spoken to the country’s prime minister, Malcolm Turnbull. “Working very quickly on a security agreement so we don’t have to impose steel or aluminum tariffs on our ally, the great nation of Australia,” he said. South Korean envoys appealed for their own exemption when they visited the White House this week to brief Mr. Trump on their meeting with North Korea’s leader, Kim Jong-un. The meeting set the stage for Mr. Trump to agree to meet Mr. Kim for negotiations on North Korea’s nuclear arsenal. The envoys urged Secretary of Defense James N. Mattis and H.R. McMaster, Mr. Trump’s national security adviser, to intervene for the sake of the alliance, said Kim Eui-kyeom, the spokesman for South Korean President Moon Jae-in. Whether the appeals will work is an open question. Despite South Korea’s critical role in defusing tensions with North Korea, the Trump administration has claimed the country is a conduit for Chinese steel evading anti-dumping rules — a practice known as transshipping. South Korean officials have argued that only 2.4 percent of steel exported to the United States in 2016 used Chinese material. Seoul is badly in need of a free pass for its steel industry. The country accounts for almost 10 percent of United States steel imports and stands to suffer the most from tariffs. That highlights another problem with Mr. Trump’s protectionist thrust: Most of the producers hurt are friends, or at least thought they were. American allies were particularly floored by Mr. Trump’s justification for the tariffs. He invoked a provision of W.T.O. rules that allows countries to impose trade restrictions in the interest of national security. 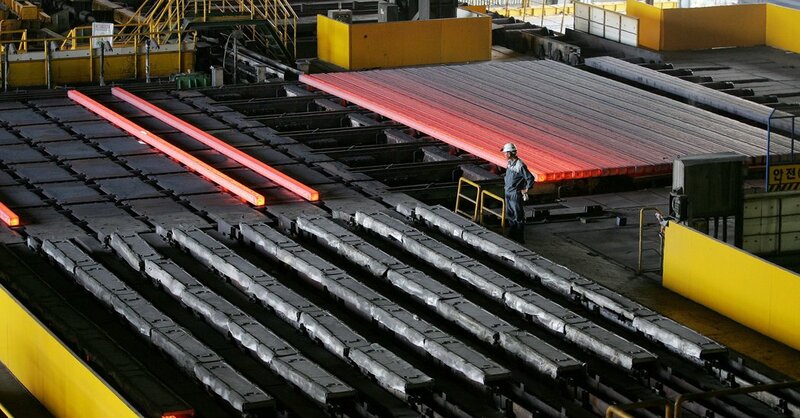 “How India or any other country could be a threat to the U.S. within the steel industry, I don’t know,” said Shivramkrishnan Hariharan, the commercial director of Essar Steel, a large steel manufacturer based in Mumbai. The national security argument seemed even weaker when applied to South Korea or European countries that have formal military alliances with the United States. Argentina is already paying a price for United States trade barriers. Last year, the Department of Commerce imposed duties of up to 70 percent on Argentine biodiesel, virtually shutting off what had been the most lucrative market for the country’s soybean-based biofuel. While foreign officials said they hoped to use diplomacy to win exemptions to the steel and aluminum tariffs, they also reserved the right to get nasty. The European Union, South Korea and others said they would file complaints with the W.T.O., which under international treaties has the power to resolve trade disputes. Among them was Brazil, which sends steel products to the United States but also imported about $1 billion in American coal last year for its metals industry. Jorge Arbache, the Brazilian planning ministry’s secretary for foreign affairs, said in an interview that the Brazilian government was still trying to work things out in a friendly way. But he noted that his country retained some options, including appealing to the W.T.O., or reducing its purchases from the United States. Because of an editing error, an earlier version of this article misstated the surname of the Brazilian planning ministry’s secretary for foreign affairs. He is Jorge Arbache, not Abrache.